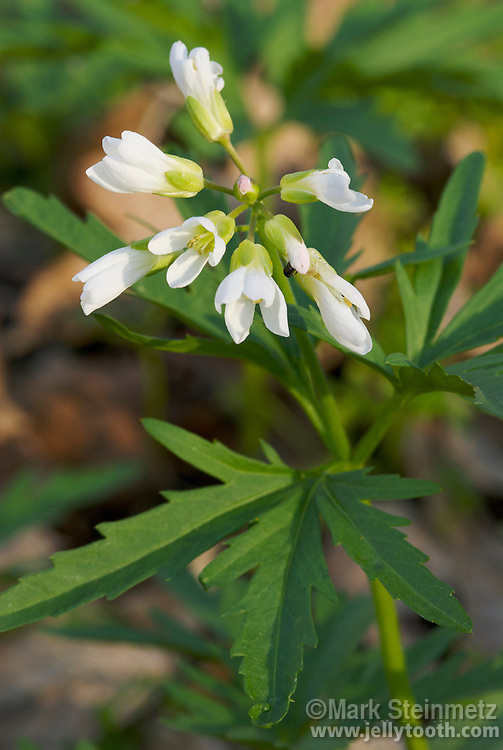 Cutleaf Toothwort (Cardamine concatenata), a spring ephemeral woodland wildflower native to eastern North American woodlands. Also known as Dentaria laciniata. Ohio, USA.